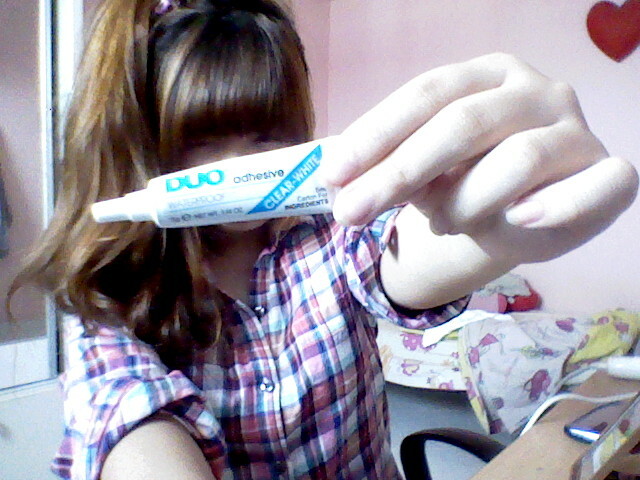 DUO eyelash adhesive! Very waterproof and sticks very well! Pricey though.. Used by many MUAs and gurus like Michelle Phan also! Hehe so credible. Anw I got it like a year ago and its still not dried up yet! This is used to stick your eyelashes together so you can pluck them off easily. Can be used to stick eyebrow together so that its easier to pluck out also. Very useful right! Also can be used to prank ur friends by applying it on their chair and when they sit, DAAAAANG. It can stick really well after being dried to a more tacky state. I mean it can stick ur falsies firmly to ur eyes and can be peeled off easily and the excess can be rubbed off. I don't know where you can get it. Because I'm selfish. Cos I havnt been updating myself on where they sell it. I wanna get another one too.